A cultural gala will be held on the evening of September 12 as part of activities within the framework of the World Economic Forum on ASEAN (WEF ASEAN) themed “ASEAN 4.0: Entrepreneurship and the Fourth Industrial Revolution” which is taking place in Hanoi from September 11-13. 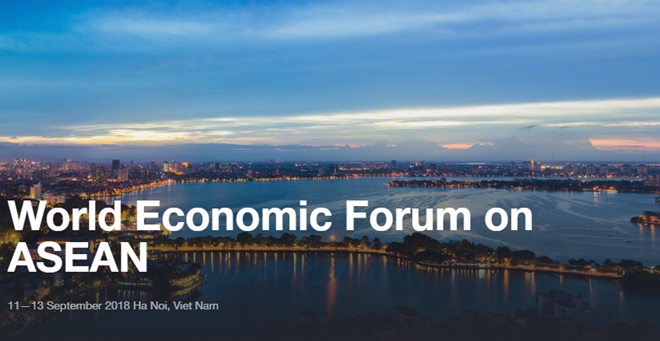 WEF ASEAN is one of the largest multilateral diplomatic events hosted by Vietnam this year, helping the country to promote its land, people and culture to international friends. 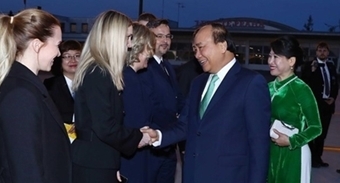 The cultural gala will showcase Vietnam’s cultural identities and intensive and extensive international integration and will demonstrate the country’s active preparations for and participation in Industrial Revolution 4.0. The gala will comprise of three parts, the first will be a presentation of special cultural items of north, central and south regions, including traditional music styles recognized by UNESCO, such as Hue royal court music and quan ho folk singing. The second part will focus on an “integration” topic, featuring opera and jazz pieces performed by famous Vietnamese artists. The last part will be themed “ASEAN arms” with songs and dances of ASEAN countries performed by regional artists, in a display of the unity, solidarity, creativeness and prosperity of ASEAN. The WEF ASEAN draws the participation of the leaders of ASEAN and regional countries and international organizations, nearly 1,000 leaders and delegates of regional and world-leading corporations and hundreds of international reporters.